Whether to use a positive selection or negative selection approach is one of the most commonly asked questions regarding immunomagnetic cell separation. What is the difference between positive selection and negative selection? When in doubt, contact us to see if we have any data on or recommendations for your specific application. Below are examples of common applications of immunomagnetic cell separation and the selection method that we recommend. Use negative selection for quick pre-enrichment of target cells prior to FACS. 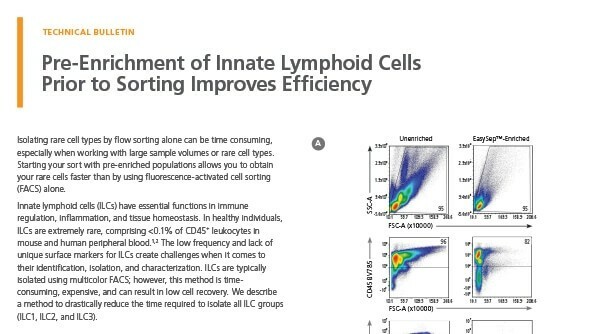 Isolating rare cell types by fluorescence-activated cell sorting (FACS) may involve lengthy sort times. Researchers can substantially reduce the required cell sorting time by using immunomagnetic cell separation to pre-enrich their target cells. In this case, quick protocols and high recovery are desirable to save time and maximize target cell yield resulting from the flow sorting procedure. Negative selection is typically an ideal approach because it is quick, has high recovery, and doesn't label the cells of interest. This allows researchers to use any fluorophore-tagged antibodies against specific cell surface markers for their FACS. Pre-enrichment can be done upstream of FACS for a wide variety of specific cell subsets, including antigen-specific cells, subsets of T helper cells, B cells, and innate lymphoid cells (ILCs). 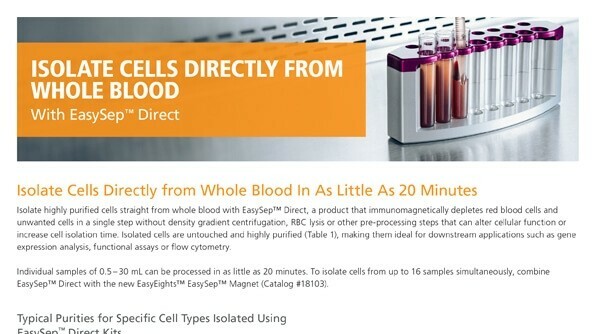 Isolate human cells in as little as 8 minutes. Isolate mouse cells in as little as 15 minutes. Use indirect positive selection to isolate uncommon cell types. 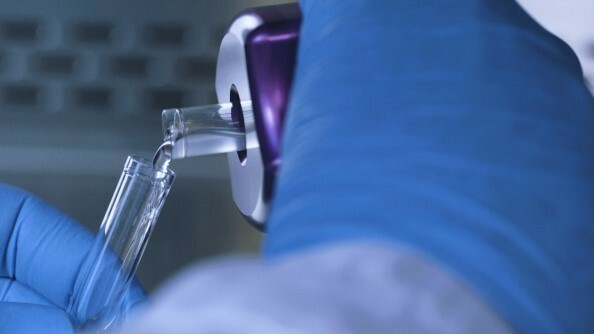 For the isolation of uncommon cells for which there are no specific, commercially available cell separation kits, indirect positive selection may be used. This method provides the flexibility of using your own primary antibodies to label the desired target cells. Immunomagnetic cell separation can then be achieved by using commonly available secondary antibodies to attach magnetic particles to the target cells labeled by the primary antibodies. In this way, almost any cell type may be isolated via indirect positive selection. Conveniently, some cell separation providers also offer custom cell isolation kits that can be specifically designed for a particular starting cell source, species, and virtually any desired cell type or target cell surface antigen(s). 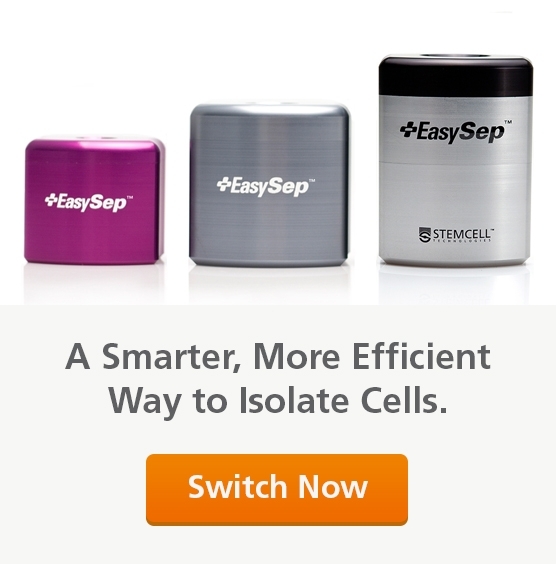 For example, custom EasySep™ kits allow you to isolate or enrich any cell type of interest. Combine selection methods to isolate complex or multiple cell types. 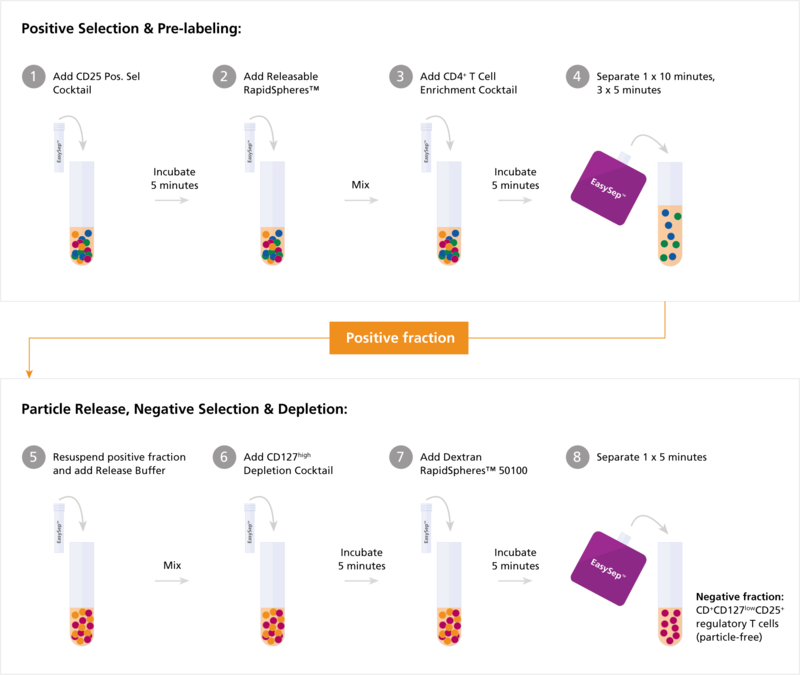 Complex cell types may require a combination of negative and positive selection for successful purification. For example, the isolation of CD4+CD127lowCD25+ regulatory T cells (Tregs) can be challenging due to the requirement to select cells based on three different cell surface markers. Combining negative and positive selection strategies makes this possible. 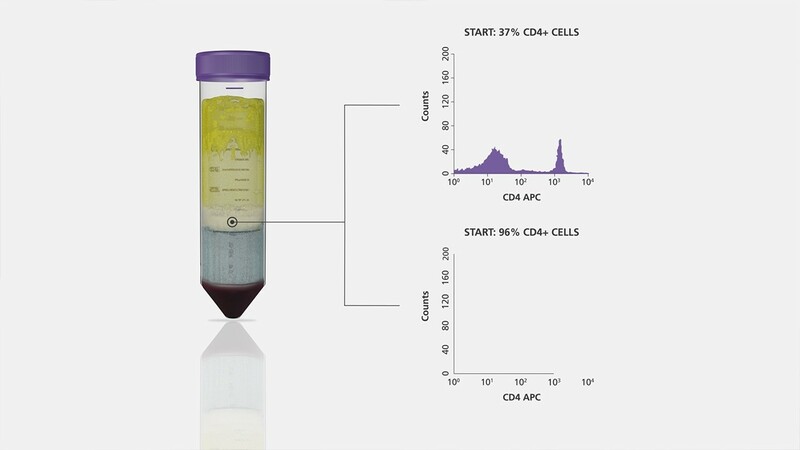 See the diagram below outlining the protocol of our EasySep™ Human CD4+CD127lowCD25+ Regulatory T Cell Isolation Kit.